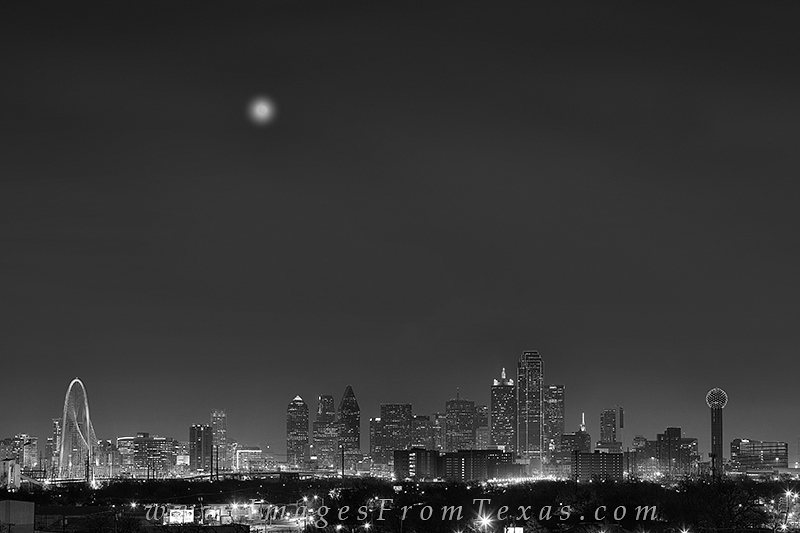 It was a cold December night in Dallas, Texas. The skyline was lit up, but a mist hung in the air. This black and white image was the product of that night. Fortunately, a moon rising in the sky added some interest to the overall scene. It all looks peaceful here from this little hill. Photo © copyright by Rob Greebon.